The Gomti river, one of the major tributaries of the national river Ganga is a perennial and effluent river which originates from a lake called – ‘FulharJheel’ in Madhotanda about 3 km east of the Pilibhit town in the state of Uttar Pradesh, India at an elevation of 185 m (about 55 km south of the Himalayas foothills) and meets the Ganga river in Kaithi, Ghazipur bordering Varanasi (at an elevation of 25 m) after traversing about 960 km in south (S) and south-east (SE) direction. About 7390 x 106 m3 water of the GomtiRiver is annually discharged into the Ganga River. About 80 per cent of the discharge flows during the monsoon season. 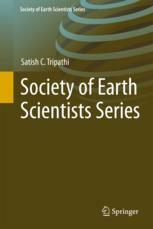 Majority of the surface area of the Gomti basin is generally flat sloping towards S and SE with altitude varying from 200m to 65m amsl. The river flows entirely in the State of Uttar Pradesh right from origin to confluence in the Ganga. The total drainage area of the river is 30,437 sq. km. Sai River is its major tributary having drainage area of 12,900 sq. km, covering approximately 43% of the total catchment area of Gomti basin. Due to natural and anthropogenic reasons the river is stressed. Anthropogenic influence on the river is visible all over and there are apprehensions that the river may dry, if not cared for. Rivers live where river basins have been ecologically managed. But currently the Gomti basin is not managed on scientific principles. The unsustainable equation for the future is staring us starkly in the face - freshwater supply is dwindling at an alarming rate even as the demand for water grows manifold.There are several threats to the river – ranging from reduction in flow to the degradation of water quality and reduction of riverine biodiversity. The river is seriously threatened by manmade misfortunes like pollution and encroachment that have put a question mark over the survival of the river. We have to open our eyes now in saving these lifelines of our cities before it gets too late. Profile the river and its stress/pollution and other issues to sensitize people and policy makers. The profiling will also be done for major tributaries. Join forces with all other organisations and individuals who are working around river issues and create an alliance for effective implementation of restoration strategies; stay up to date with international water community. Continue monitoring the pollution loads of Gomti River in its entire segments with help of mobile monitoring units and widely disseminate the information among general public and policy makers. Involve youth and children in the catchments of the river to increase their direct contact and relationship with the river. Bring convergence between different government departments and agencies such as irrigation, pollution control, town planning, environment, horticulture, forestry, Municipal Corporation etc. responsible for maintaining healthy river ecosystems. 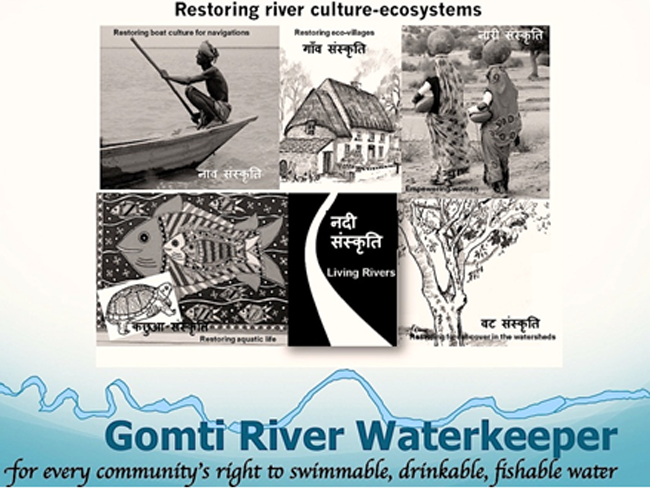 Undertake a special drive to involve the urban communities to understand the river, its ecology and importance of the river for sustainable development.